Hello SUNSHINE... 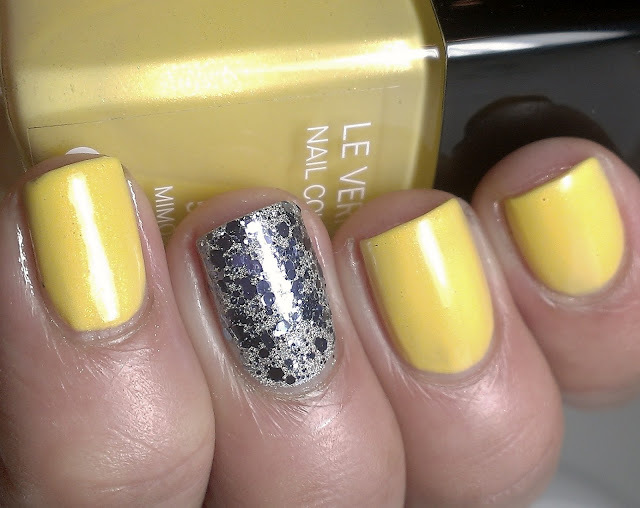 I can't get enough of yellow nail polish, I love it!!!! Brightens up my day for sure. Before I purchased this polish, most of the blogs I saw it on mentioned that the formula was not good and it is true, took 4 coats, but its worth it! That combo is lovely! What a patience you had with Mimosa, but it's definitely a vibrant and deep yellow! The shimmer adds something special, and it suits you perfectly! 4 coats is a lot but I like it!!! 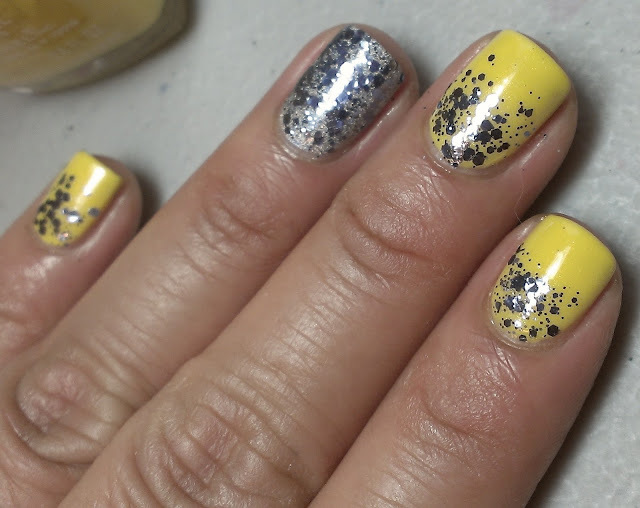 I'm a sucker for this kind of yellow - but I'm happy that mine are 2 coaters, one a 3-coater - but it's gorgeous, and it looks great with the silver glitter on it too! BEAUTIFUL! I have a major soft spot for Chanel so there's that but really this is such a pretty color and I love the combo you did with the light blue glitter! I love this yellow, it is gorgeous! 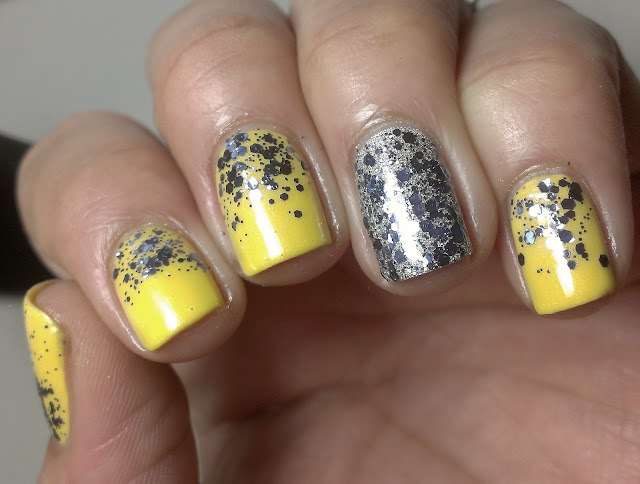 i love how the glitter gradient looks over the yellow! I love this mani! The glitter is gorgeous on top of Mimosa! 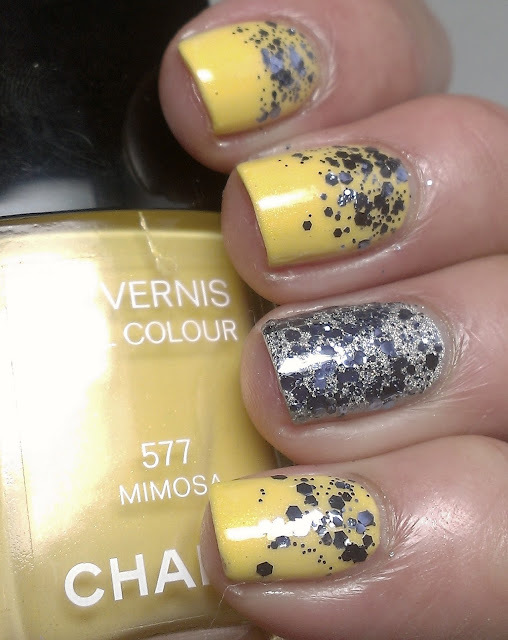 The combo of the dark glitter over Mimosa is gorgeous! Wish you';d hurry up and do the RBL yellow! great manicure, love the color combo! Beautiful :) Definitely brightened up my night! 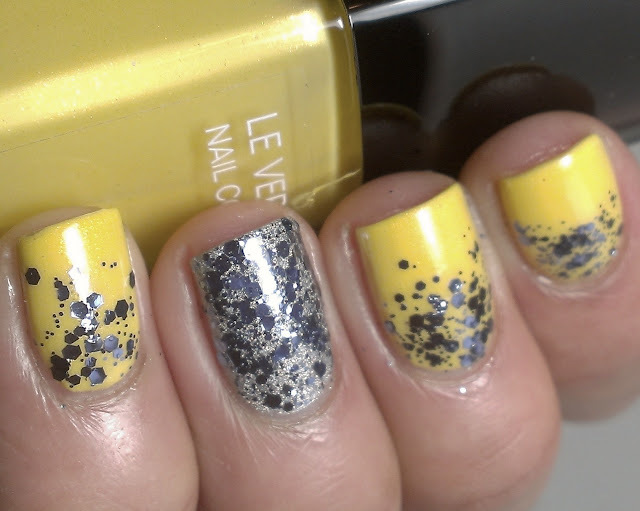 Hate yellow, love this manicure! Love Love Love the yellow!